Handheld thermal imagers and miniature pyrometers are ideally suited for fast and mobile temperature measurement. Universally usable, they provide fast results in many situations. 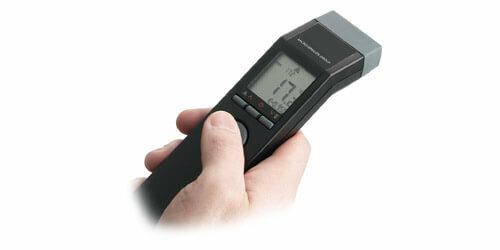 The handheld thermometer P20 has been designed for the measurement of any targets including hot and molten metals. It has a calibrated range from 0 °C to 2000°C. The high optical resolution of up to 300:1 enables accurate measurements from a safe distance. Supplied in 525 nm / 1 / 1.6 / 8-14 µm wavelength versions for the most accurate measurement performance on different materials. 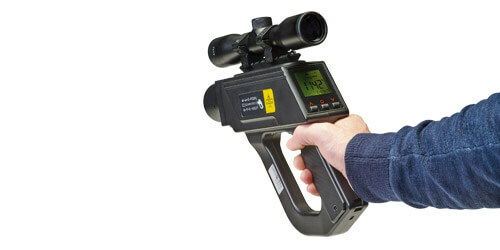 A double laser pointer indicates the spot size at any distance and in addition a sighting scope ensures exact and simple alignment of the P20 with the target.